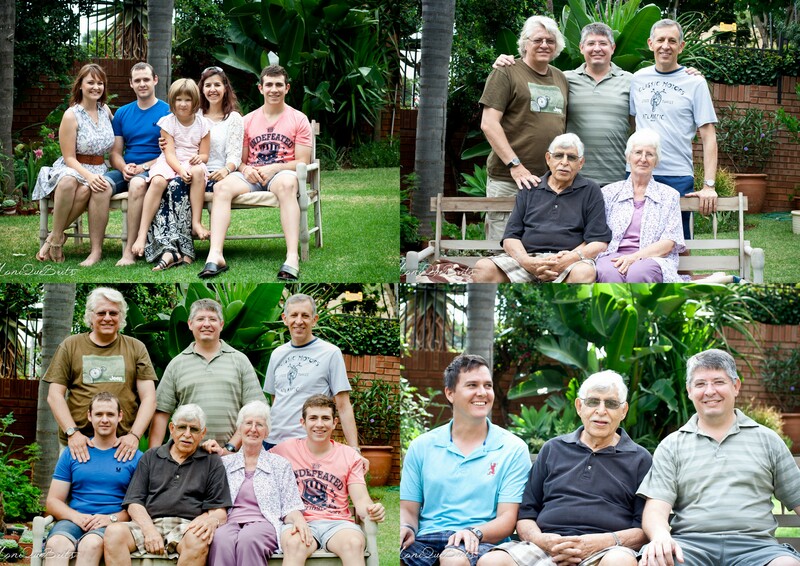 After taking photos of my own extended family this past weekend and realising how precious those photos are, I thought I’d share some tips with you on taking your own! But a tripod isn’t only necessary for holding up the camera. It will also ensure that your pictures are sharp and won’t blur. When choosing a place to take the photos, try use a shaded area that will be large enough so a big group can fit and that every ones face will be in the shade even if some are standing and others sitting. Full sun creates unflattering shadows and squinted eyes. The best type of shade will be one that still has enough light around it so you wont need a flash, but doesn’t cause people to want to squint. And that brings me to number 3. This is a personal choice but I feel flash takes away atmosphere. And unless you have professional studio lighting, the pop-up flash on your camera is going to make your photos look unnatural. Flash also makes most people blink the moment it goes off, so you are going to be having a hard time getting everyone to keep their eyes open. 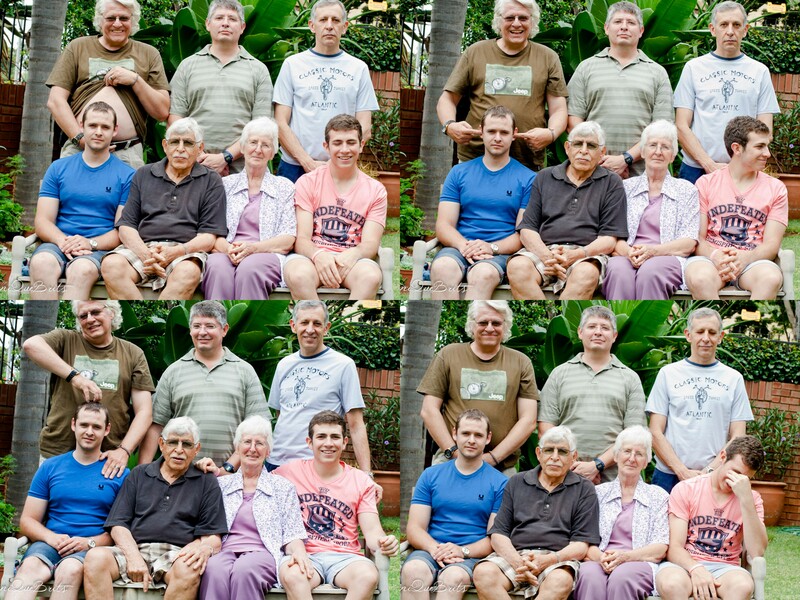 And if everyone in the photos are going to be concerned about keeping their eyes open, the expressions wont look natural. If you are taking photos in an automatic mode on your camera, try find the setting that will allow you to control the flash. Which means the phrases “Say Cheese”, “Whiskey” and “Smarties” should really be avoided. Instead try telling a joke or saying something to evoke a reaction. It’s your family, so think of what makes them laugh! I like pretending like the adults are children and telling them to “Look at the birdie” in my best baby voice. That usually gets a few reactions the first time. We are in the digital era, so you don’t have to worry about how many photos you take. With the above suggestion on getting natural expressions the first few photo’s probably wont be the perfect ones. But if you have a lot to choose from your chances of having one where everyone is at least looking at the camera are better! Families are all different, and you will probably have one person who isn’t playing along. But that’s okay. Capture the moments. Embrace who your family is. Those are the things you will remember looking back at these pictures. Pictures tell stories, and having a little personality in photos makes them just a little more fun! If you’d like to understand your camera even better! Sign up for my “Basic Photography Workshop” in Pretoria! I’d love to help you be able to take amazing photographs of our family.